Product #15578 | SKU DTP 340 TT | 0.0 (no ratings yet) Thanks for your rating! With the Lewitt DTP 340 TT introduces consistently high-performing wired dynamic microphones specifically designed to accurately capture the sound of drums and percussion instruments providing a maximum of acoustic presence and clarity in live sound applications. Even in high sound pressure level applications, DTP 340 TT reproduces instrumental sounds with sonic detail and character. The super-cardioid polar pattern ensures that side and rear sounds are effectively rejected. 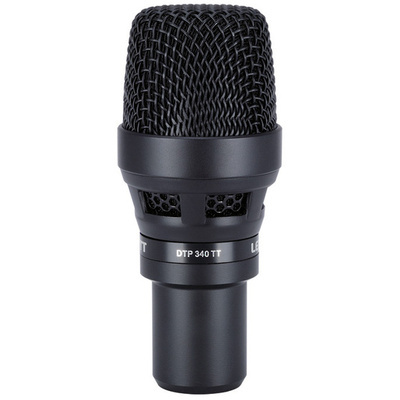 Its rugged body and a hardened steel-mesh grille make this microphone highly durable professional gear for performers and audio engineers.